Friday Smiles, June 12, 2015- What's the Use of Worrying? Friday Smiles: What’s the Use of Worrying? What’s the use of worrying? 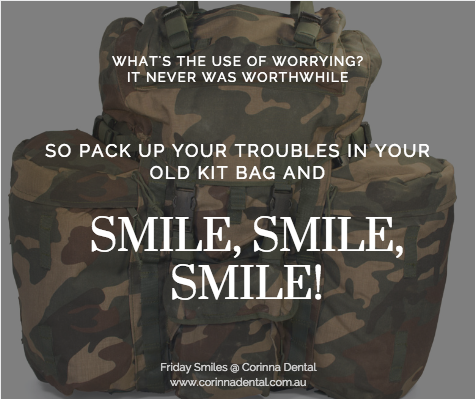 It never was worth while, so pack up your troubles in your old kit-bag, and smile, smile, smile.